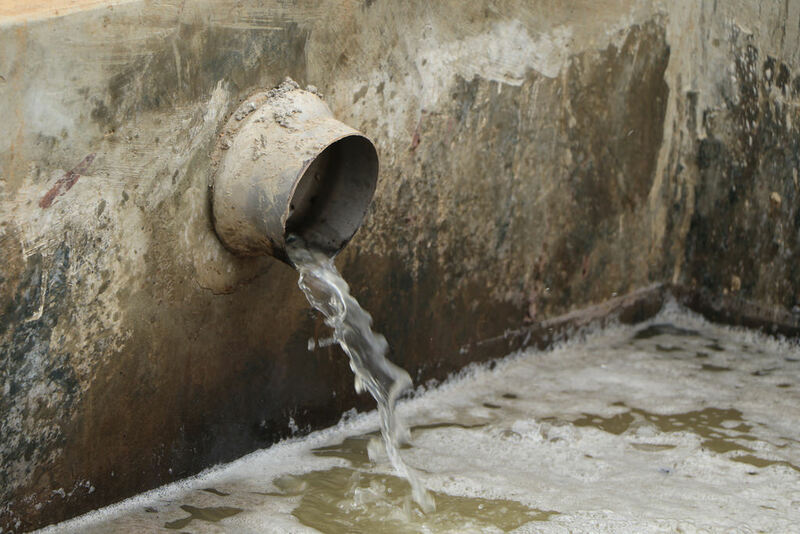 Purification of waste water from phenol and other organic contaminants - GlobeCore. 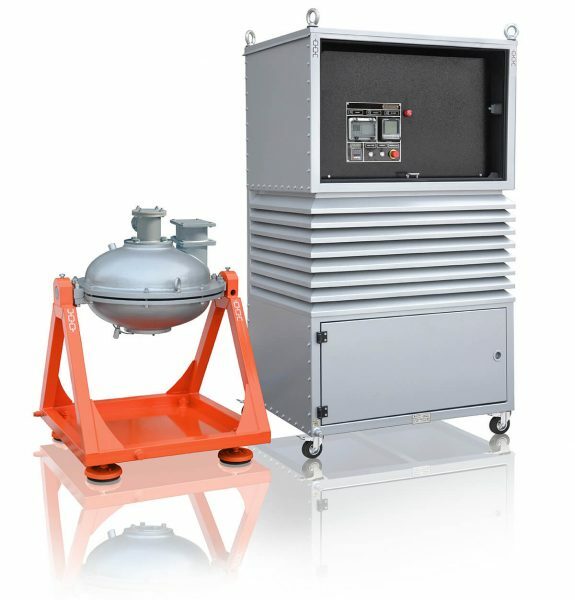 Oil Purification Systems. In most facilities, such water is purified by oxidizing phenol and other organic contaminants by manganese peroxide, sodium or potassium dichromate at 95-100º С. The oxidation process takes 3 to 5 hours, consuming 5 grams of oxidant per 1 gram of phenol. The purification unit with 12 reactors 25 m3 each can purify 400 to 600 m3 of water per day. The method often does not ensure high quality of purification, with only 75-90% rate of phenol removal. Testing indicated that AVS can ensure good purification of waste water from phenol with lower operation costs than those involved in regular methods. It was determined that removal of phenol in the concentration of 0.5-10 g/dm3, at acidity up to 5 g/dm3 can be performed by such oxidants as manganese peroxide, sodium or potassium dichromate, potassium potassium permanganate for oxidation time τ = 0.1-2 seconds, at 20-45 ºС to residual phenol content after purification1.2-10 mg/dm3 when using manganese peroxide, 0.2-5 мг/дм3 using potassium dichromate, 0.1-1.0 мг/дм3 potassium permanganate. 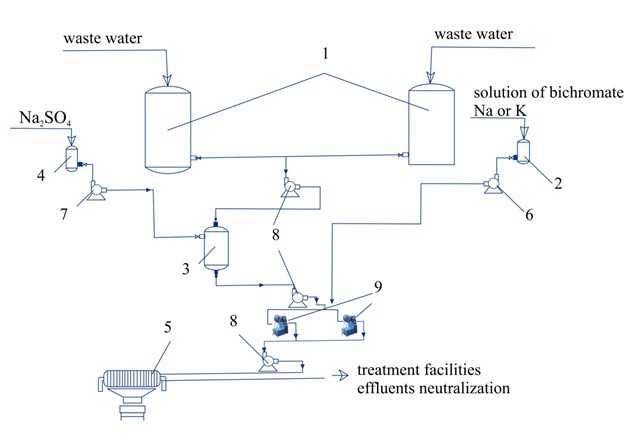 The process of removal phenol from waste water using AVS (fig. 6) is simpler in terms of technology and hardware than the current industrial process. Simultaneous with phenol oxidation, other organic contaminants in the water also oxidize. Formaldehyde content is reduced to 50-100 mg/dm3 (initially 10 g/dm3), methanol – to 2.3 mg/dm3 (initially 6.4 g/dm3), diphenylol propane – to 150 mg/dm3 (initial 4.6 g/dm3). 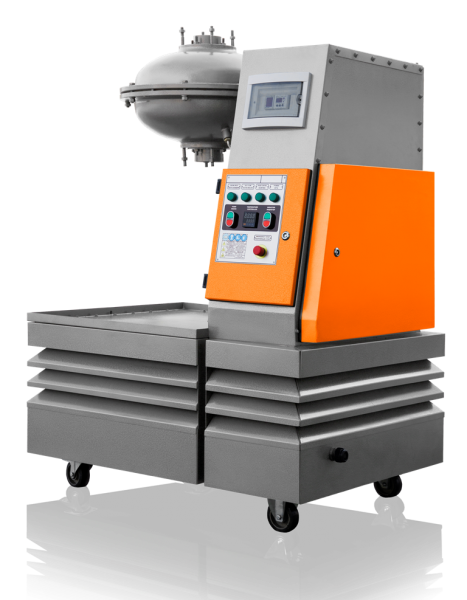 Device processing rate: AVS-100 – up to 10 m3/hour, AVS-150 up to 25 m3/hour. Fig. 6. 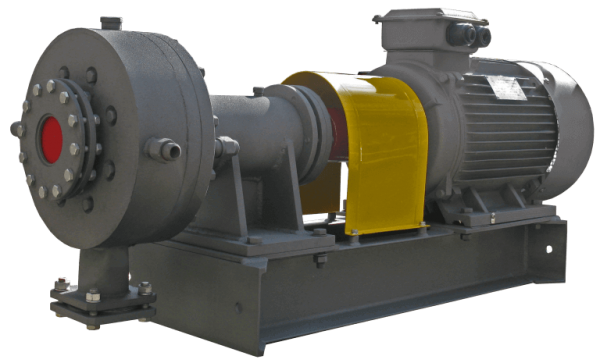 The process of phenol removal from industrial waste water (recommended): 1 – waste water averaging; 2 – oxidant tank; 3 – oxidation reactor; 4 –Na2SO4 storage tank; 5 – filter-press; 6,7,8 – pumps; 9 – AVS. Implementation of vortex layer device in the process of phenol removel reduced energy costs by 10 – 15 times, lowers reagent consumption by 1.5-2 times, decreases equipment footprint by 1.5 – 2 times.